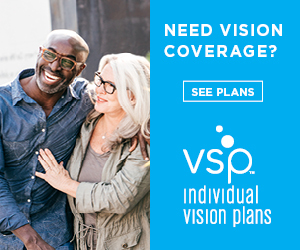 Competitive Pricing - At Vision Health we offer competitive pricing, affordable eyewear packages, and multiple-pair savings. You are also welcome to take advantage of manufacturer rebate programs and special promotions through our office. Be sure to ask about our convenient contact lens direct shipping program. Convenience - Your Vision Health offers a wide selection of products in our office as well as through custom orders. We use great quality materials and will courteously recommend eyewear and contact lenses that fit your lifestyle and fashion - all within your budget. Plus, you get to try on your frames before ordering--instead of just ordering online and hoping they work for your face and your prescription!